The X-Torq« engine design reduces harmful exhaust emissions by up to 75% and increases fuel efficiency by up to 20%. NOTE WELL. We ship a FREE one-shot of 2-stroke oil, and a FREE pair of googles with this product. Compliments of Steam & Moorland Machinery Centre. Husqvarna Products are fully assembled and tested by our mechanics. They are used correctly - for the purposes that they are intended for. They are serviced at the correct interval, by a Husqvarna Service Centre (like ourselves). Write a review about "Husqvarna 226HD75S Hedge Trimmer HedgeCutter"
We want to know your opinion! Write a review about the product “Husqvarna 226HD75S Hedge Trimmer HedgeCutter” and win a National Gardening Gift Voucher of £25 ! 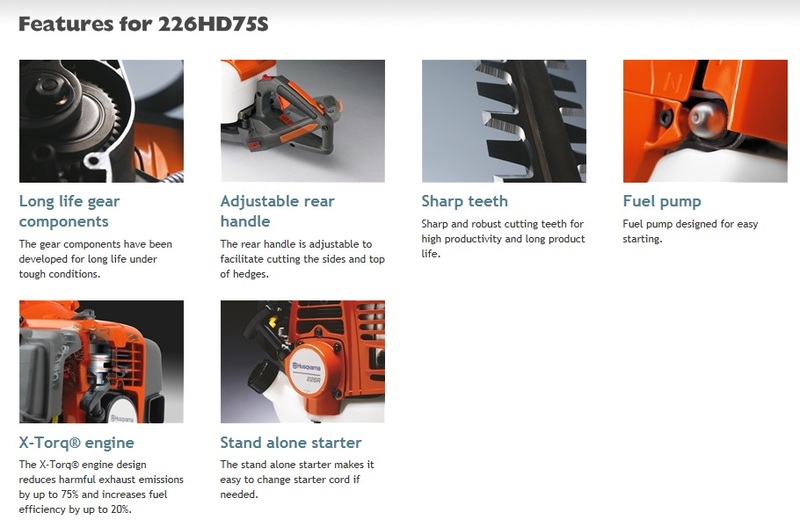 Are you looking for the product "Husqvarna 226HD75S Hedge Trimmer HedgeCutter"? 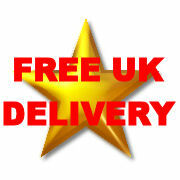 We offer this product in our garden centre in Pickering, North Yorkshire. You can order the product "Husqvarna 226HD75S Hedge Trimmer HedgeCutter" online or you can visit our garden centre in Pickering, North Yorkshire or for more information about the product "Husqvarna 226HD75S Hedge Trimmer HedgeCutter". We look forward to seeing you soon!